Rehoming an older equine is a big responsibility just like any other horse, but some will require additional care and many can’t be ridden. 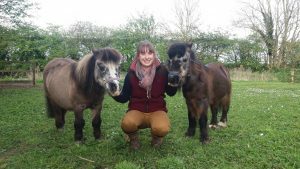 However, this wasn’t a concern for Ellen when she fostered two older equines and has found it very rewarding giving them a second lease of life through their golden years. Zeus arrived at Bransby Horses in 2001 after he was seized by the RSPCA along with six other ponies. On his arrival he had a severe infestation of lice and was still entire, but it was clear with his loving nature he was going to be a firm favourite with staff. 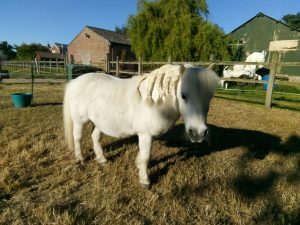 Zeus has had lots of fun whilst at Bransby Horses where he was often involved with pony grooming sessions and taking a lead role in educational health demonstrations. 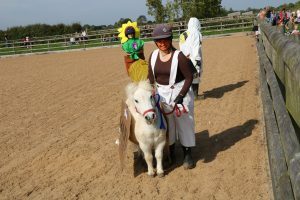 Zeus loves being the star of the show, so much so, that he stole the limelight at the 2017 Autumn Fayre dressed as a Golden Ticket in the fancy dress competition, he took it all in his tiny stride and lapped up the attention. Zeus was very happy living at the charity with his OAP Shetland friends, but always wanted to find a family of his own. Ellen came and visited Zeus and he instantly made an impact on her, stealing her heart as he had done ours. Ellen had previously fostered another OAP Shetland from Bransby Horses, affectionately named ‘Grandpa Stanley’. 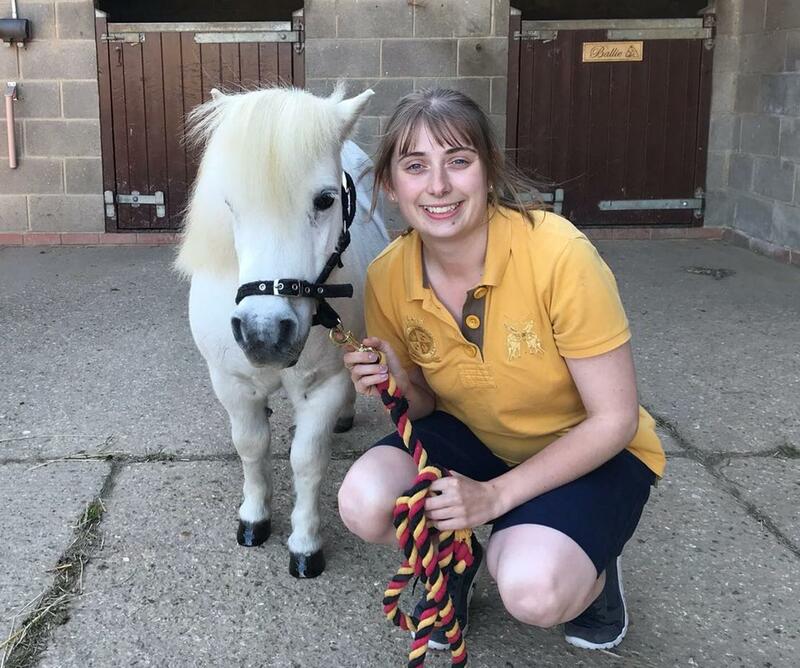 Knowing what adventures and fun can be had when fostering an older pony, when Ellen was ready to find a new companion for Oscar, she contacted the Rehoming Team to help her to once again to find the perfect match. Zeus and Oscar hit it off straight away and are getting on well together and settling into their new routines. Staff who cared for Zeus at Bransby Horses are delighted he has found a wonderful forever home and love to hear about his adventures! 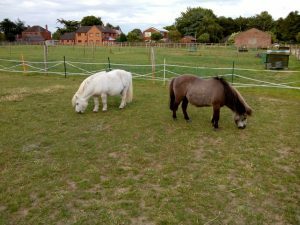 However, there are still many older equines living at the charity that could thrive from a foster home just like Stanley and Zeus have. For more information about fostering an older horse, please contact the Rehoming Team on 01427 782711 or visit the Rehoming pages on the website.